Well February seemed to fly by. I had a really good reading month, but a not so good blogging month – but I’ll just smile and be happy that the reading slump is not only over, it has been decimated! I read 11 books in Feb, which is probably a record for me, especially considering I didn’t read for a whole week while I was away. 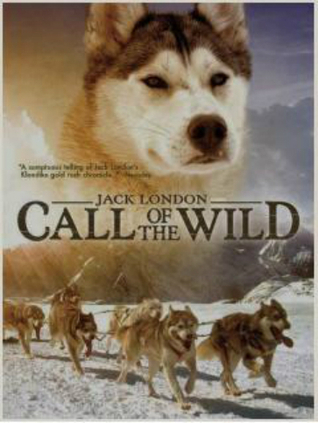 My favourite book was certainly The Call of the Wild by Jack London – I wasn’t expecting to love it as much as I did. An honourable mention must go to Stuart MacBride’s Logan McRae series – I’ve read six of his novels over the past two months, and they are some of the longest mysteries I’ve encountered, but I’m in love – with Roberta Steel. Onto personal matters, I’ve been having issues with my right eye (I’ve been unable to watch TV or be on the computer for more than an hour at a time) and the many doctors I’ve been seeing have no idea what is wrong. They have just said I have to deal with the discomfort and pain and hope that my vision doesn’t get any worse – I’m already at the point that the right eye is useless, the left eye does all the work. That has put a dampener on my life, but certainly meant I got lots of reading done! Uni goes back during March, and I’m finally getting to see the light – one more year of study and then I can look forward to full time teaching. However, it also means that I am going to have less time to read this month – I’ve got a good buffer on my Goodreads goal of 52 books in 2015, so I’m not going to pressure myself to read too much. However, as I can’t watch TV, most of my spare time will be spent with a book. I’ve also gone back to working nights, which gives me about two hours of reading time each night, so I’m hoping to read 6 books during March. Well, I’ve decided to set myself a couple of goals to do with the blog and share them. I’ve got some excellent opportunities this month, for starters I am going to go see Geoffrey McGeachin’s talk on Thursday at Adelaide Writer’s Week, so I will hopefully give a recap of what that experience is like – I’ve reviewed all of his Charlie Berlin series on this blog and they have certainly become a favourite of mine. I am also going to make it a habit to do mini reviews – I’ve been thinking that I need to write massive reviews of every book I read, and then scaring myself from actually doing the review (do I actually have enough to say about this?) 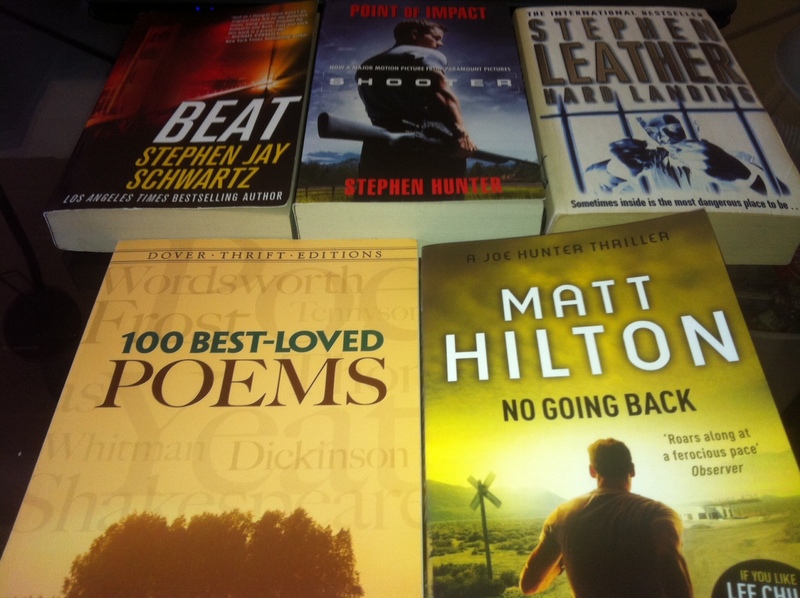 so instead I’m going to aim at once a week having a feature where I review the book(s) I’ve read – in 100 words. If I find I have more than 100 words, I can publish it as a standalone, otherwise, it will go in my weekly wrap up. Finally, I am thinking of tackling Ulysses during the next Bout of Books – would anyone out there be interested in doing this with me? (please!?) Or even just offer advice (besides the advice my sister gave me: Run away! Run, run FAR AWAY!) of the best way to tackle this? So hopefully there is more happening on this blog this month, and hopefully I don’t break down and cry when all my uni work starts rolling in! For all those who stuck it out to this conclusion – you deserve cookies (but I can’t bake, so what you deserve and what you get are two different things). Well, yesterday I got some decent reading in, I had uni in the morning but then got home and started the new Spider Shepherd book, and didn’t stop reading until I finished the darn thing. I also finished off the last 80 pages of 1984 at uni – I was hoping to finish before the readathon started, but ended up reading it during. I was quite happy because I managed to check out peoples blogs, but didn’t spend too much time on the net – that was my downfall last BOB. Today’s challenge – The Book Monster’s Scavenger Hunt! I had fun doing this one, and I realised I picked three books written by Stephens – It was a coincidence, I promise! YAY! I’m going to participate in BOB11. I was umming and ahhing for a while, I do have things going on that week – most notably my birthday… but I’ve also got time off work so I can actually spend more time reading! I’ll post my goals later this week. I am looking forward to participating, are there many other BOB’ers getting ready? Have you decided your goals yet? Today I didn’t complete any challenges, but I did go around and post on a couple of blogs, just to see how other people are going. It’s interesting to see how other people progress through their reading. Progress report for day 2 – I didn’t get as much reading done, work was busy, and I will be facing the same again on Wednesday. However, I have 8 hours of reading JOY planned on Thursday. So, this is a very late progress report for day 1 of the bout of books –I got a fair bit of reading done and was happy with the amount of hours I was able to avoid work and engage in reading. I joined twitter, which is a new experience – and certainly one that I am thinking I will enjoy. Tomorrow I’m tackling The Giver and Narrow Escape – two very different stories, I’m sure! So, I’ve decided to participate in a challenge or two, and decided to jump straight in with The Book Barbies ‘If you like X, try Y challenge. Very easy, but fun first challenge! I just managed to finish a C.J. Box novel, and loved every word, so I thought I should include him in my challenge today!